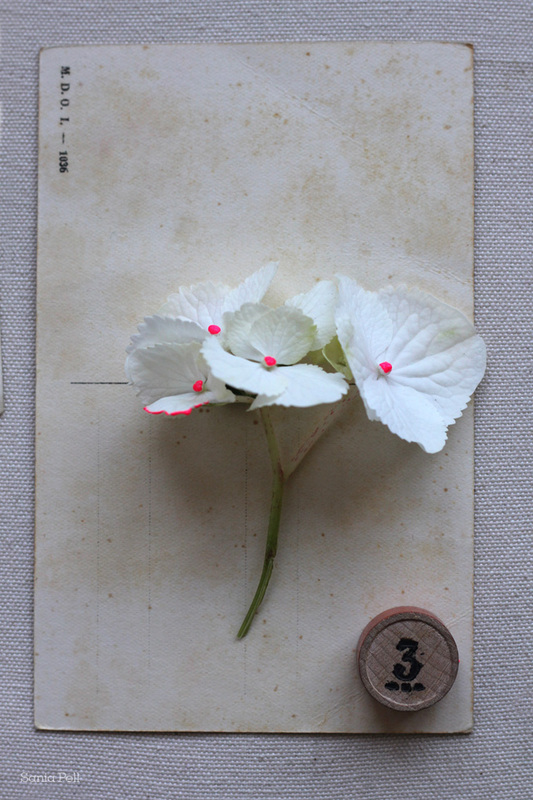 I was playing around with scale and visual relationships between objects when I took this photo. 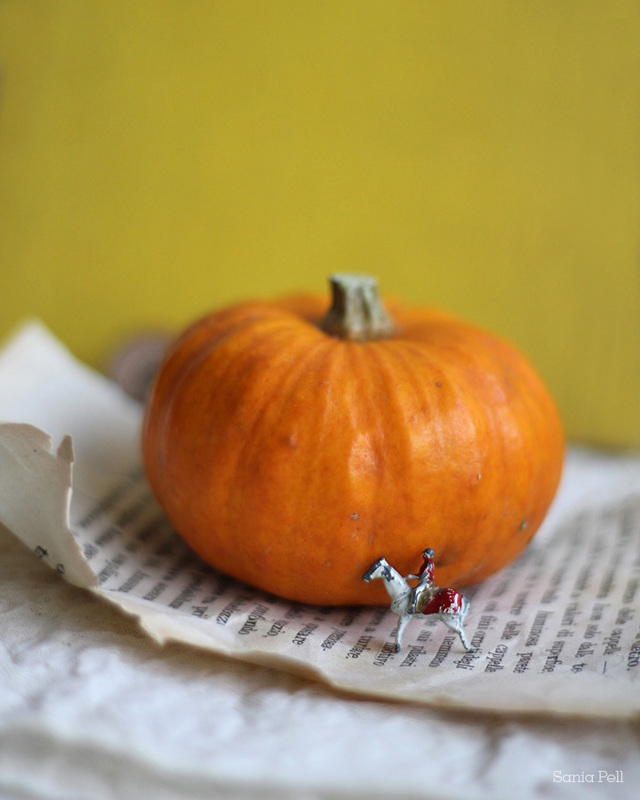 I love that at first glance you think this is a full size pumpkin and the toy must be bigger, but then you realise it’s on a page from an old novel which means it must be small and it suddenly doesn’t make sense. What size is everything? It’s a mini pumpkin, the size of an orange, and the horse is the size of your thumbnail! The New Designers graduate show is one of my favourite shows and somewhere I’ve been going every year since I graduated from Edinburgh art college. I was discovered and offered a job when I exhibited as a graduate there, and it gave me my first stepping stone into my creative career. Every year since then I return to look at the inspiring work and to chat with graduates, encourage them and buy a few pieces of work to support them. This summer I went on the Saturday morning with the whole family, wandering around with my children who enjoy looking at all the work (until they get fidgety and want to go and play!). As we walked around, my husband and I were both immediately drawn to the work of Lesley Elliott who had just finished the Decorative Arts course at Nottingham Trent University. 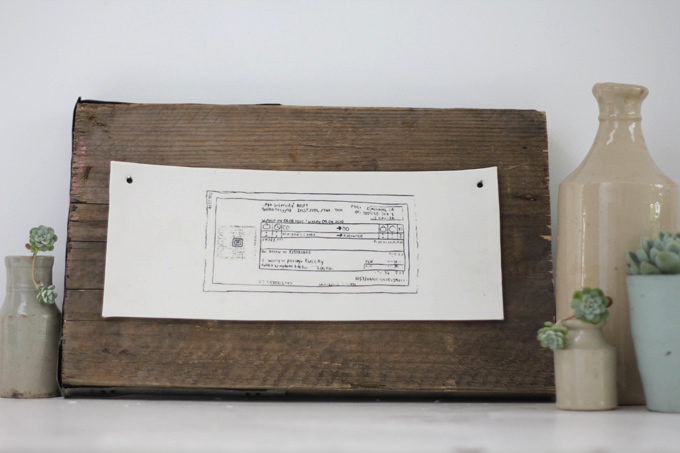 Gorgeous, monochrome drawings etched in delicate porcelain, mounted on pieces of salvaged wooden plank and hung on on a dark grey wall was always going to appeal to me! They’re all inspired by her travels and I love their quirky, graphic qualities. We chatted with Lesley about her work and her plans and she was lovely, keen and enthusiastic – as well as very talented! We asked if we could buy a piece as we knew it would fit perfectly into our home and she said yes. 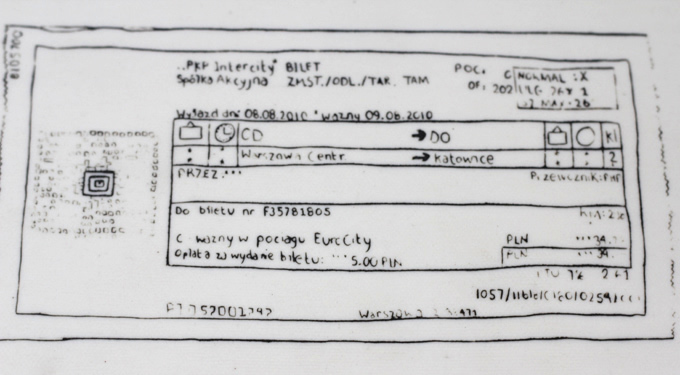 Our favourite was this drawing of a Polish train ticket, a memory of her travels there, drawn with a needle into the porcelain and inlaid with black slip. 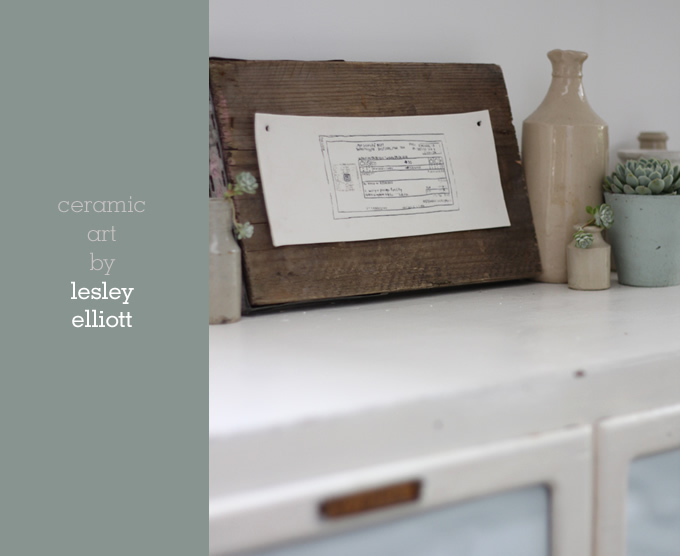 The images below are from Lesley’s website, lesleyelliott.co.uk, please do go and have a look. 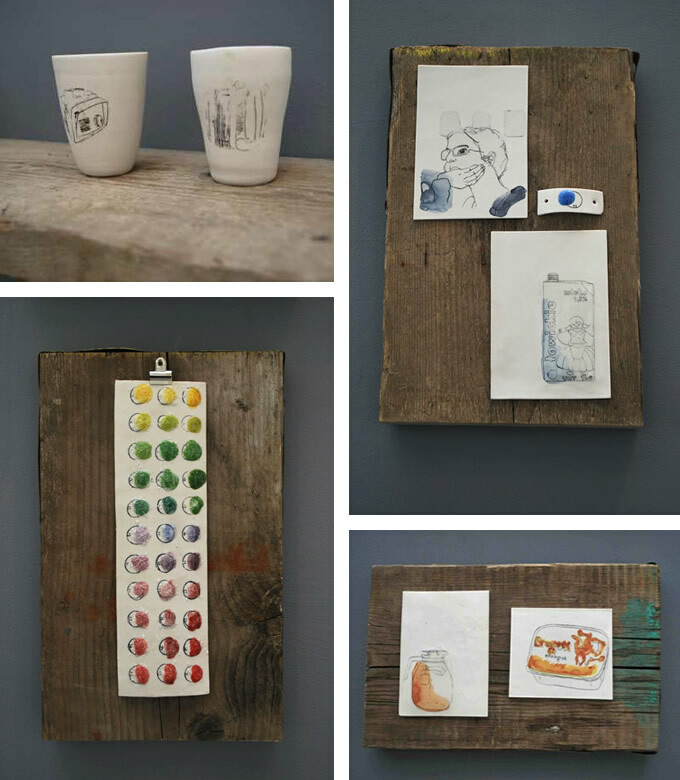 She also has a Tumbler blog here – it reminds me of my days at art college and how much fun and creativity we had as well. 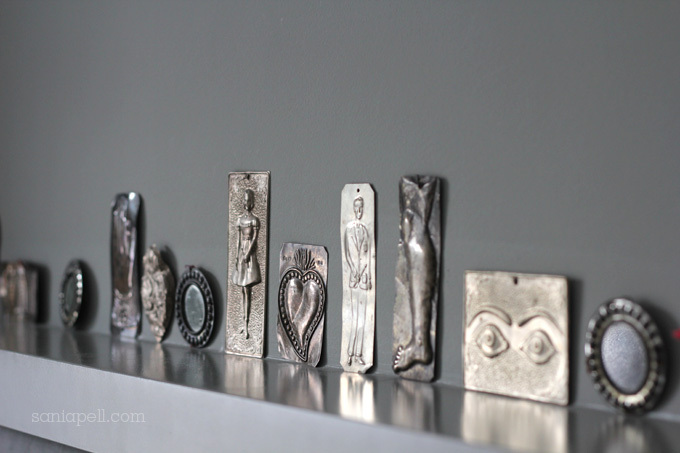 This short timelapse video is a lovely insight into how Lesley makes these wonderful pieces. It sums up exactly why I believe it is important to support and encourage art and design graduates as they start out on their careers. I wish Lesley and all the graduates of 2011 the very best for their futures. What do you think? Do you visit the graduate shows? I would love to hear your thoughts. 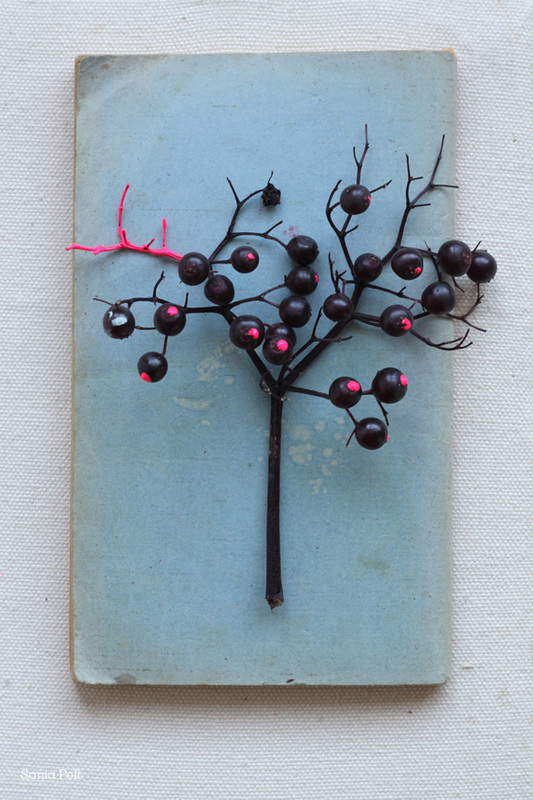 If you live near Nottingham then Lesley has been selected as part of the ‘New Meteors’ exhibition at Lustre at Lakeside Arts Centre in Nottingham on 5th/6th November and will also be part of Craft in the City at Waterstones, Nottingham on 3rd/4th December. Do pop by and support them if you’re in the area. I use my camera for sketching ideas like I do with pencil and paper. Just playing and experimenting with objects and visuals that have popped into my head and thoughts for future ideas and projects in my work. These pictures were sparked off by my previous post where I had stitched fluorescent berries onto my embroidered design. 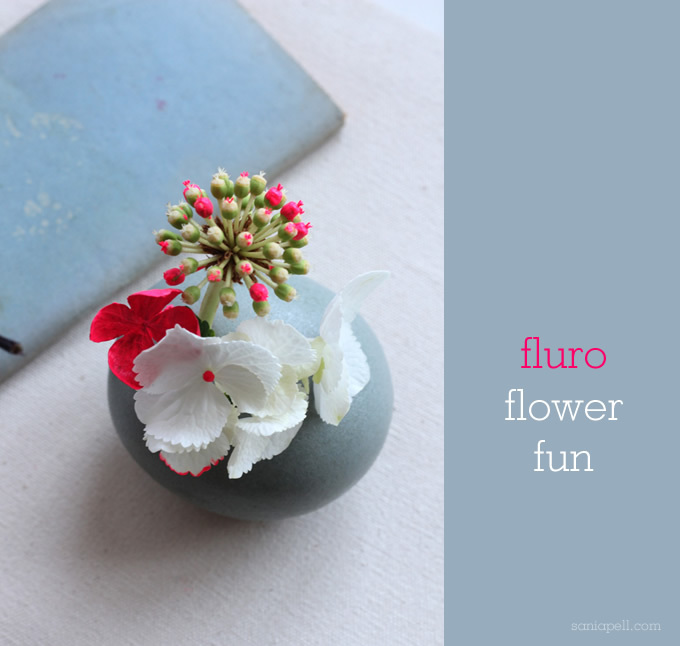 It gave me the idea to play games with nature and add neon colour pops to real sprigs of berries and hydrangeas picked from the garden, just to see how it looked. I thought I would share my photo sketches with you as they are the beginning of ideas that will undoubtedly be developed and taken in new directions. 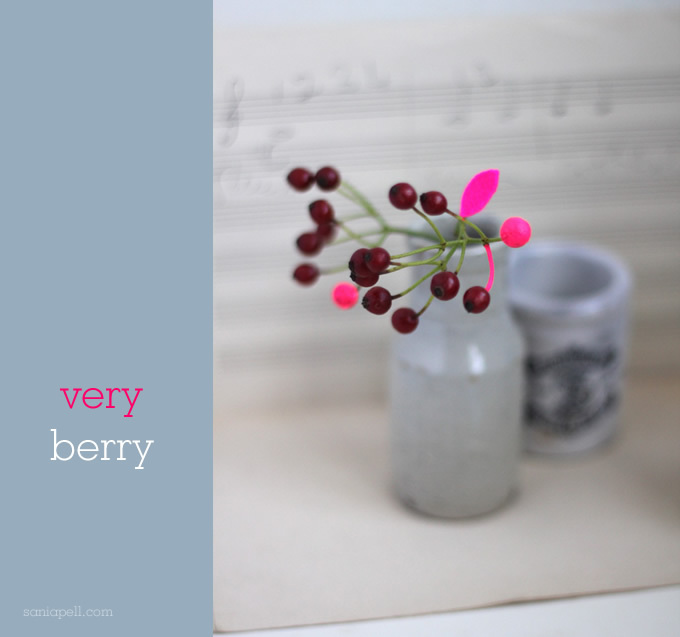 I don’t think I would want to do this to a whole bunch of bought flowers at home but the flowers and berries I used were straight from my small London garden – it is amazing what you can find once you start looking. 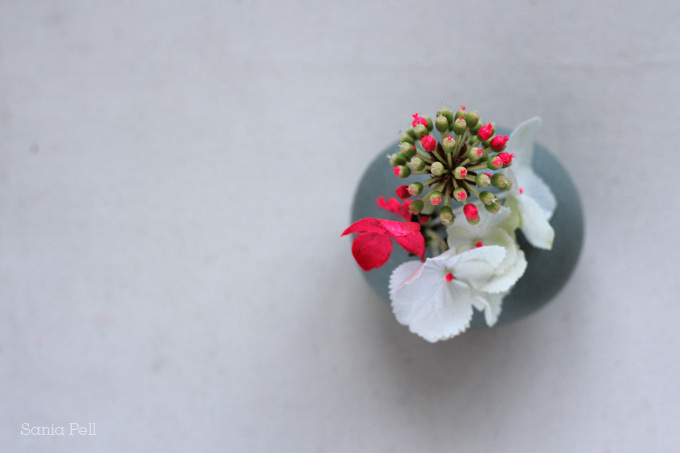 A small sprig treated in this way would be perfect for a dinner party, with a small arrangement by each place setting, or on wedding tables as decoration. It adds an unusual little surprise and warrants closer inspection. 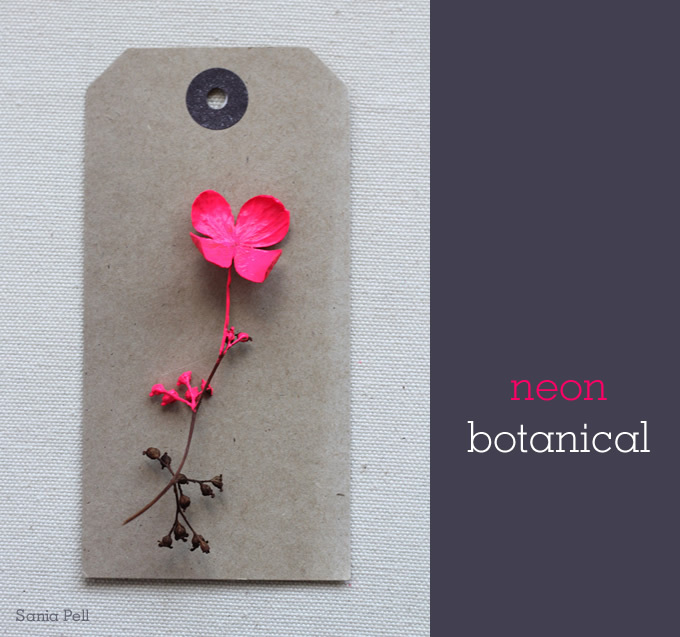 I used acrylic paint and a small paintbrush to add the colour and glued pink leaves cut from felt. 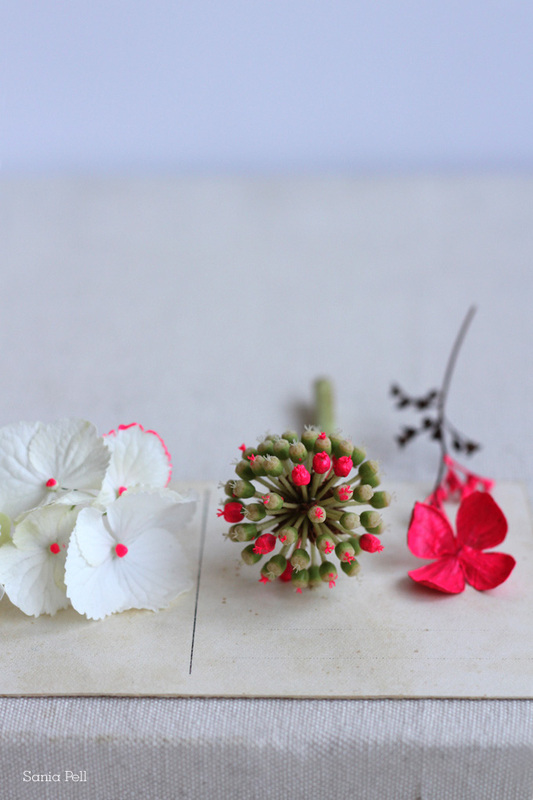 Painting is easiest on pale flowers like the white hydrangea but darker coloured flowers and berries work too, they just need a couple of coats of paint. It began with a boy and a girl holding paintbrushes (a perfect pair) and a single leg! 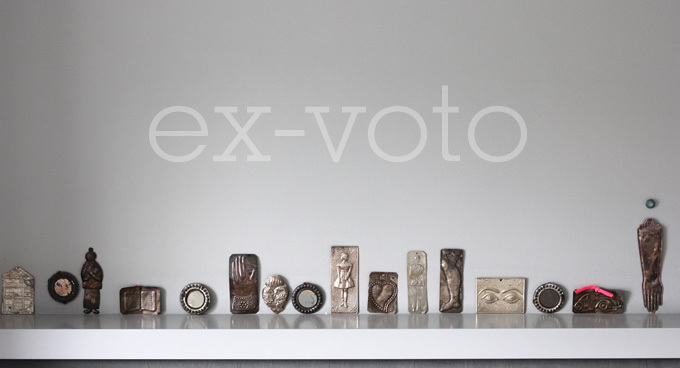 I first began collecting these vintage ex-votos whilst on holiday in Greece about 15 years ago and they are some of my favourite things. 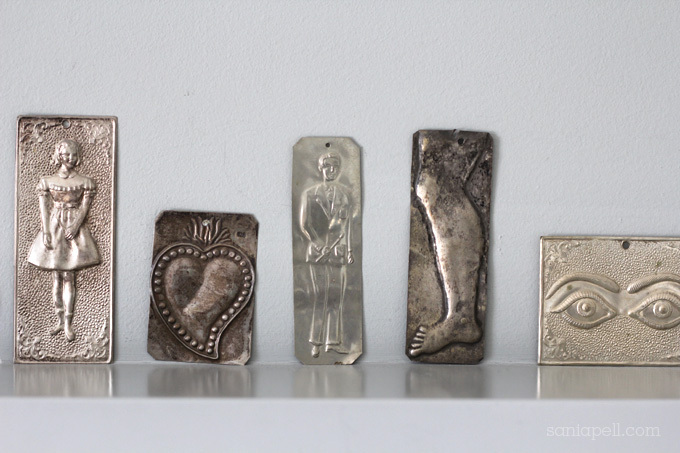 These metal votive offerings are still found in Catholic churches around Europe and Mexico. They are given to a divinity or a saint as a personal thank you note. Sometimes they were given with prayer as plees for help too. I love the eclectic mix of the subjects and when I come across them for sale I can’t resist them. My collection is on display in a row on a shelf above my bed. They are so light that jut a small tab of blue-tack keeps them in place. 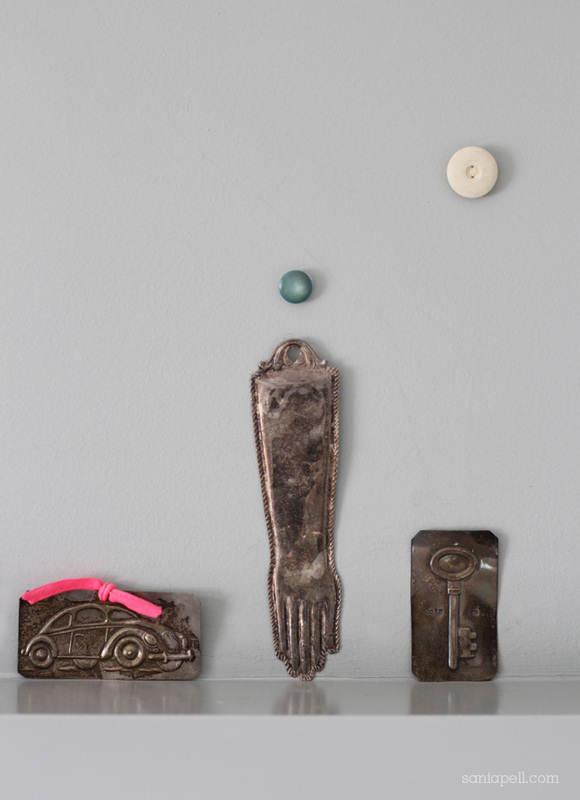 I mixed in some little mirrors that I bought on a trip to India and also blue-tacked some vintage buttons in random places on the wall to form a spotty 3D wallpaper. 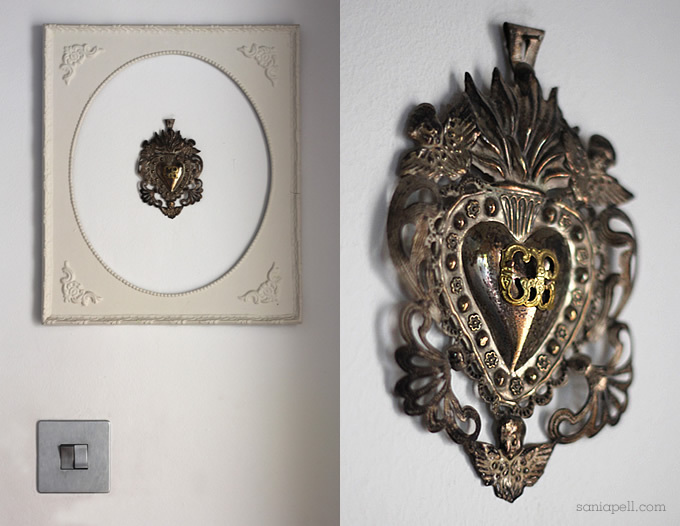 In my hallway I placed a more ornate votive inside an old flea market frame that I had painted, both stuck directly to the wall with Pritt pads. The metal is slightly tarnished, but I don’t mind as this adds to the character. I only come across them on rare occasions but there is probably just enough room for another two or three when I do find some more. I love the way they catch the light, their delicacy, their nieve, folk-art style and that each one has a very personal story behind. 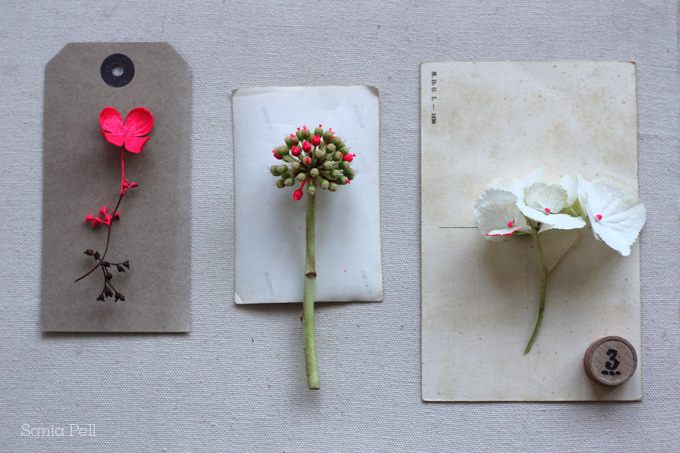 A little collection of little things that makes me happy. Do you collect something that brings you joy? update : my next book! I’m done. Hooray! Six months of planning, making, styling, shooting, drawing and writing has drawn to a close. My deadline has been met and now everything is with my publisher to work their magic. They’re at the Frankfurt book fair at the moment with the blad (a small draft sample of the book) and I can’t wait to hear how it’s been received by everyone there. It’s a lot of work producing a book, but I love coming up with ideas, making things and shooting them. 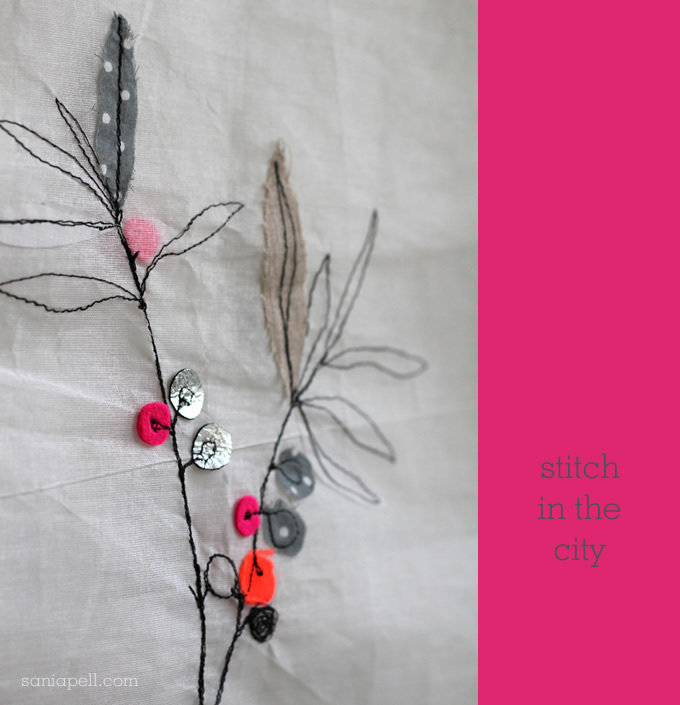 To help me through the last bit of writing I would laugh to myself imagining I was Carrie Bradshaw, sitting on my bed with a laptop writing Stitch in the City! I don’t know as yet how much I can share about the details of the book but as soon as I do I will let you know. If you liked my last book I hope you’ll like this one too. I took these photos in my studio. 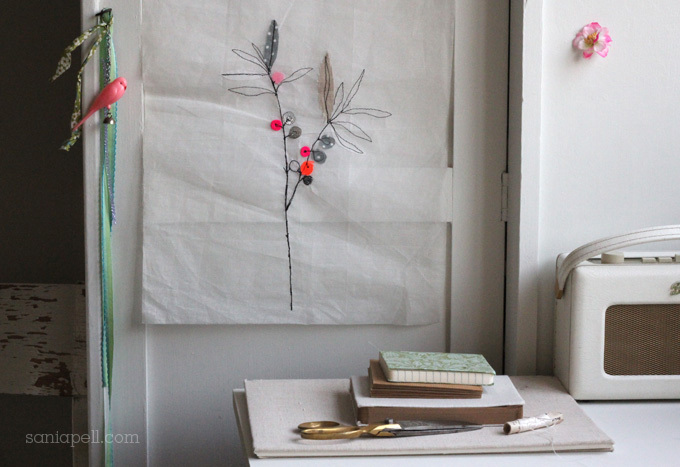 This embroidery is a test sample I made for the embroidered window panel project in my last book, The Homemade Home. Please have look out for it if you haven’t seen it yet! My other work has been on hold while I have been concentrating on the book but I’ve jumped straight back into the deep end with a commercial shoot last week, an editorial shoot next week and I’m also taking the Blogging Your Way course to try and get a little more knowledgeable about this whole big social interweb thing. It never stops! I religiously go to my local monthly car boot sale and for the last few months I have been using my flea market finds as props in my next book. 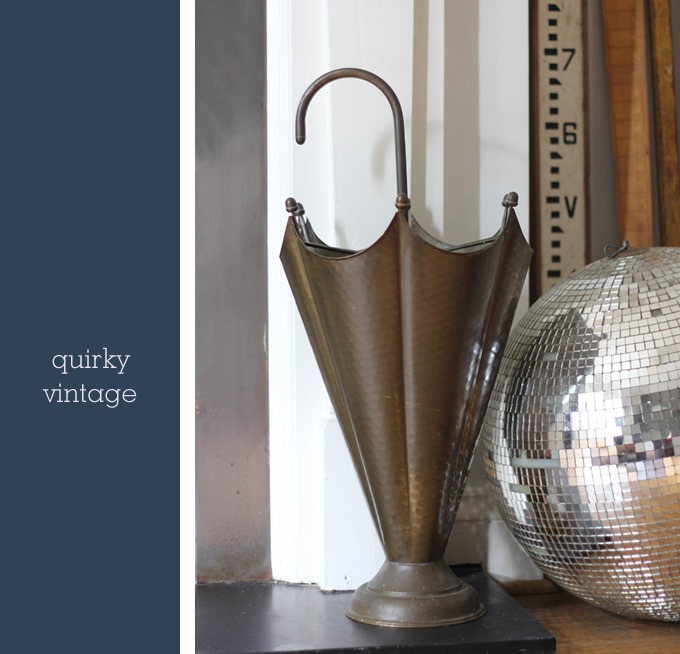 But now it has all been photographed, I can show you my latest finds from this Sunday and a few other recent vintage treasures I’ve picked up. There is a great shop in Notting Hill, Couverture, which has a similar umbrella stand in its entrance and I have had umbrella stand envy every time I’ve been there over the years. So when I spotted this one at my carboot I snapped it up! It is a little bit “Marmite” – you either love it or hate it. 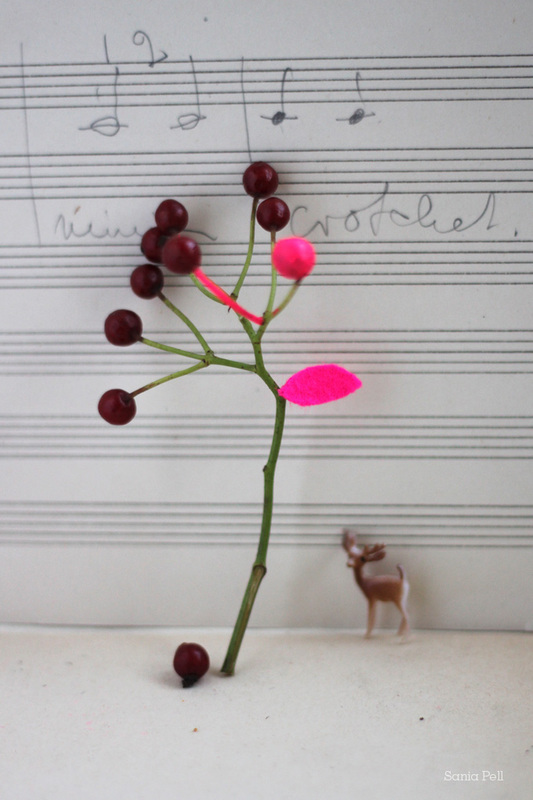 I love that it’s quirky and am thinking of using it as a vase for a little bit of wrongness! I couldn’t resist these trinkets. 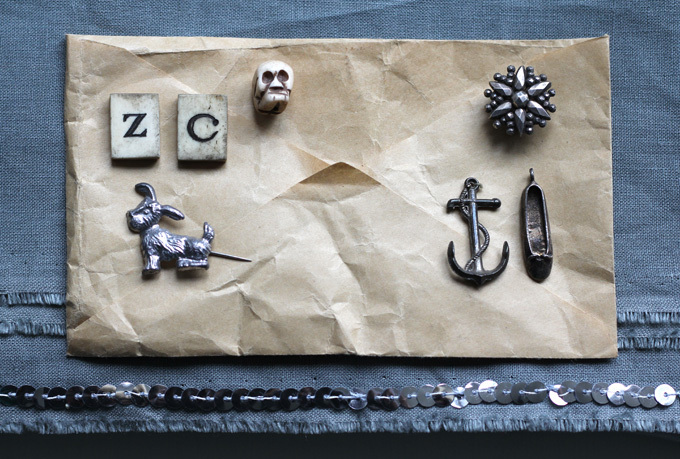 The flower-shaped pin is a vintage ‘bachelor button’, the charms so sweet, old letters (I can never have enough), the little dog pin, cute on a lapel and a hand-carved skull bead for a little edge. 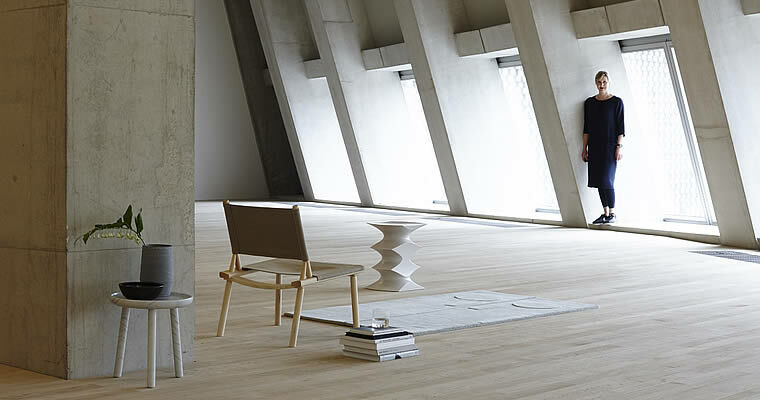 I know that with small bits and pieces like this if the right project pops up into my head I’m ready to go. This is a brooch made from cast metal that I bought as a gift for my mum. 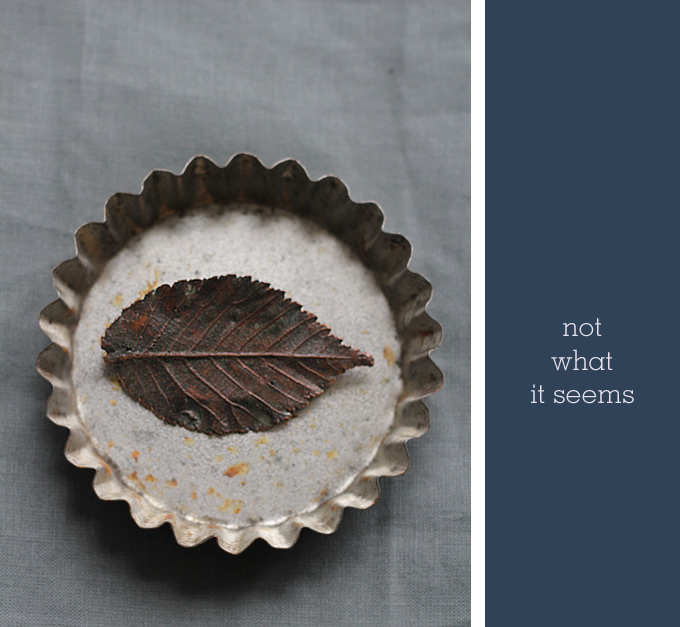 Its colour and patina make it look like a real autumn leaf. I like the way it sits in the flower shape of this vintage French tart tin, one of a batch of different tins that I picked up for a few pounds. 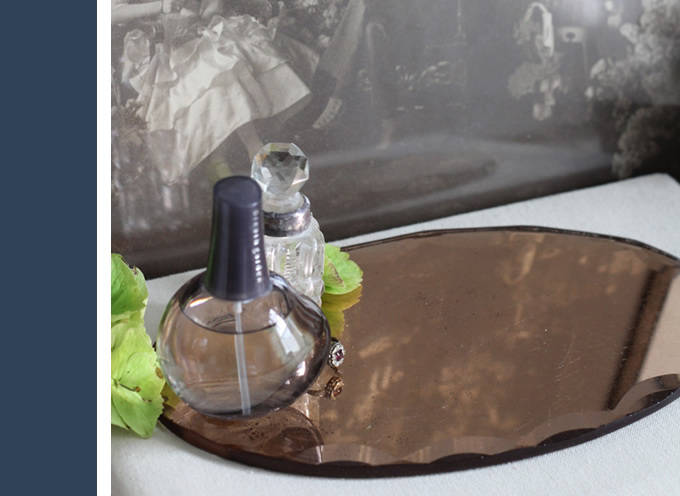 This bevelled-edge rose glass mirror will look lovely with candles and perfume, the little ring was a previous buy bought for £1. I have had the framed sepia photograph in the background for a while, picked up like the other pieces at the boot sale, and I love it. 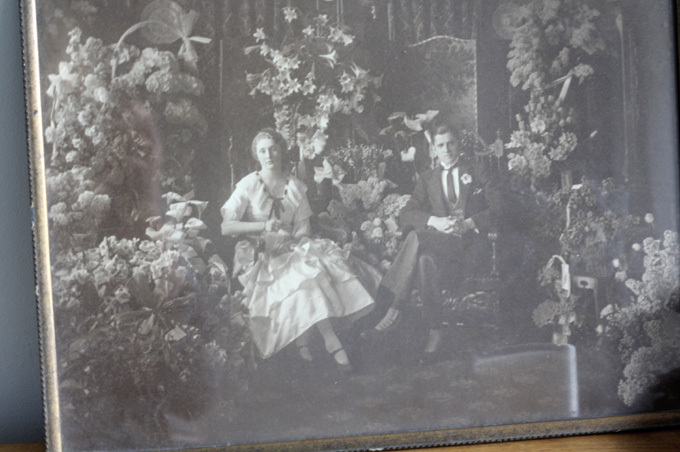 I have no idea who the couple are or why they were photographed surrounded by so many huge flower arrangements. Is it their wedding day, engagement or are they florists? I’m always on the look out for fun things that my children can enjoy too. The colours in this game board are wonderfully saturated and the graphic quality is lovely. 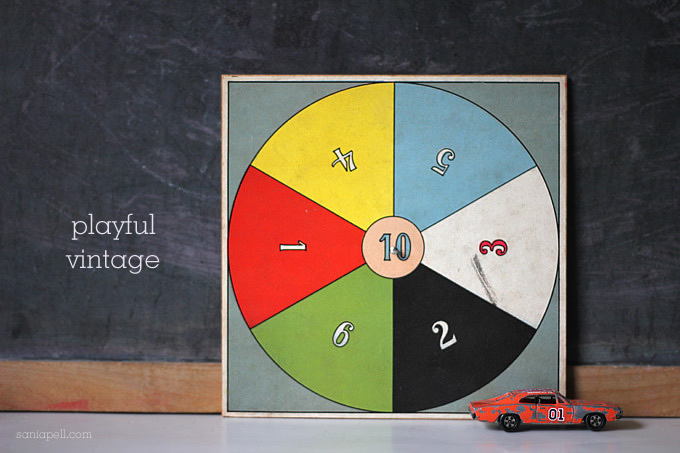 And finally a well-loved Dukes of Hazzard car from 1980 for my son – yeee-haaa! If you like this you may also like my other flea market finds posts.